To give your floor the professional finish you deserve, GJP Floor Sanding Surrey applies the highest quality finishing for your floors. 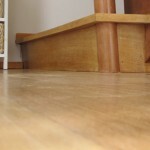 After sanding, closing any gaps, and applying seals, we carefully stain your wood floors. Whether you are restoring the original colour of the wood or you want to introduce a new colour, we are here to help you. We typically use durable and fast-drying Morrells Light Fast Wood Stains. These stains leave your floors with an excellent depth of colour and superior grain definition. We bring our professional workmanship to all our projects, and we strive to achieve unrivalled results. Staining your wood floor can introduce tones to a room that evoke a warm or elegant feel, or they can provide a bold statement that helps define a room. The first decision you have to make is whether or not to retain the original colour of your wood floor, or whether you want to opt for a new colour. Although walnut and pine are typically popular colours, we can finish floors in a range of stain colours – from green to black, mahogany to various shades of oak, and many more. GJP Floor Sanding Surrey will also work with Morrells and their colour matching services to get the colour perfect. To help you decide on a colour, our professional and experienced staff will apply test patches to your floor so you can see how it looks and determine whether we have the right colour for you. Since stains can appear different once they are applied depending on the wood, it is important for you to be able to see what the stain you select will look like after it is applied. GJP Floor Sanding Surrey approaches all our projects with customer satisfaction as our priority, and we are committed to helping you get the right colour and look for your floors. Choosing a colour can reflect a homeowner’s personality, and can help integrate the floor into a remodelled room or into the character of a room or home. That’s why our approach is guided by your decisions and preferences. We will help you make the right decision, but ultimately we leave the decision up to you. To see some of the available colours, browse our floor staining gallery.